The presence of cement tiles as floor and wall covering indoors is established and continues to grow as architects and designers find new uses that enhance their projects. To a lesser extent, the uses of these versatile, colorful tiles outdoors are slowly being discovered. Their use on building facades and walls creates a work of art that compliments the building architecture and design. 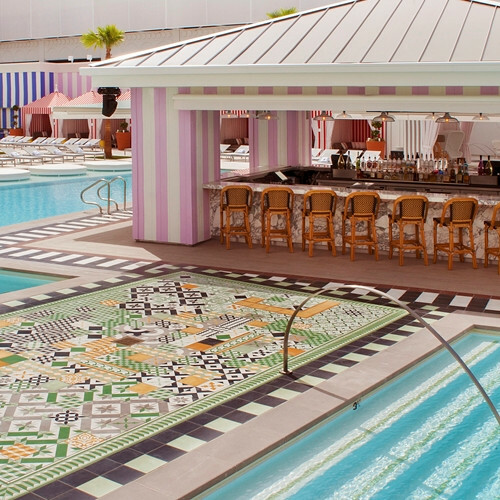 Cement tiles are prominently used outdoors in a few hotels such as the SLS Miami and SLS Las Vegas as pool decking. 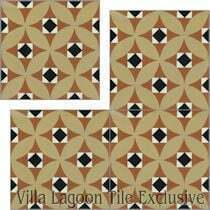 The stunning addition of patterned tiles in those areas creates a bright colorful background to the pool designs as bathers and sun worshippers relax sipping Pina Coladas. An important factor to consider when using cement tiles is the use of the appropriate sealant for indoor or outdoor installations. We have conducted tests that provide clear evidence that the use of a top coat with UV filters is vital to maintaining the vibrant colors in cement tiles. Without the UV filters, the colors can noticeably fade in as little as four to five months. 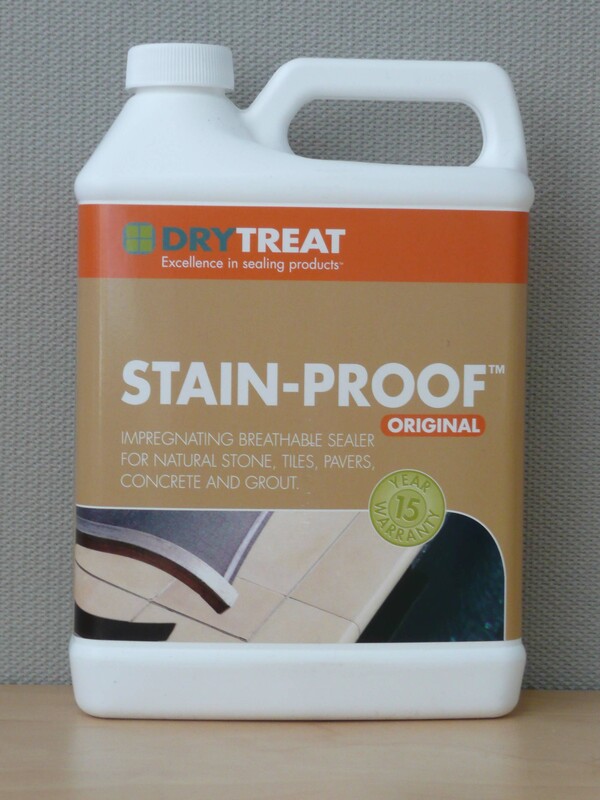 Dry-Treat – Stain-Proof, a premium Impregnating/Penetrating sealant. 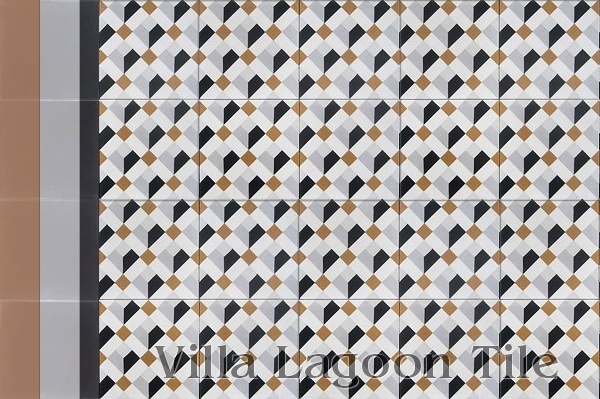 Villa Lagoon Grout Release and Top-Coat Sealant, a co-polymer top-coat sealant containing UV Filters. The products were applied as directed by the manufacturer. Two coats of the VLT Grout Release/Top-Coat were applied and allowed to dry for 24 hours. The Dry-Treat/Stain Proof was applied in succession 3 times and allowed to dry for 24 hours. On May 9, 2016, the tile were placed outdoors in an open space, no shade or covering. The tile was exposed to all weather elements present in Gulf Shores, Alabama. The weather there is typically hot, humid, lots of sun and lots of rain. Temperatures ranged from 70 F to 95 F with heat indices of >105 F. The tile was not maintained or cared for in any manner. The tile was often in direct all-day sunshine from May 9, 2016, thru September 21, 2016. Periodic rain and thunderstorms occurred, no hail or other weather events were present. Initially, on the test tile just after application of the Dry-Treat a slight change color (enhancement) was noticed but faded over the course of the 24 hour drying period. The VLT Grout Release/Top-Coat Sealant showed a marked color enhancement that continued through the entire test period. The test tile was brought inside on Sep 21, 2016, after 19 weeks+ 2 days exposure. The tile was allowed to cool to room temperature prior to observations being recorded. 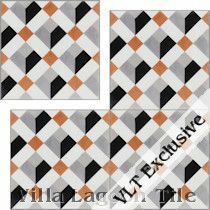 The test (Treated) tile was compared to an identical tile (Control) that had been stored in a sealed box in a warehouse. It had never been exposed to sunlight. The Treated tile showed obvious effects of weather. 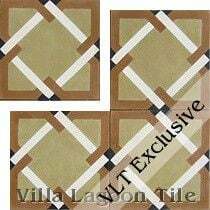 On the Treated tile, the Control section where no sealant was applied showed fading in all the colors except for the white portions of the tile. 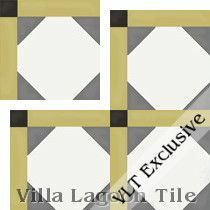 The VLT Grout Release/Top-Coat treated section of the tile showed no fading and the color remained vibrant and rich. The Dry Treat/Stain Proof/Impregnating sealant showed comparable fading as in the Control (no Sealant section). 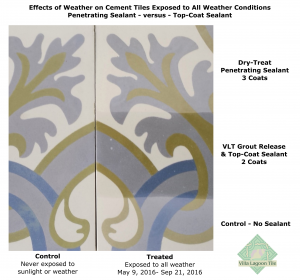 The results of this simple test demonstrate that for outdoor use of cement tile, the VLT Grout Release/Top Coat co-polymer sealant with UV filters prevents fading and we consider it to be a superior treatment than the Dry Treat/Stain-Proof product for outside use. 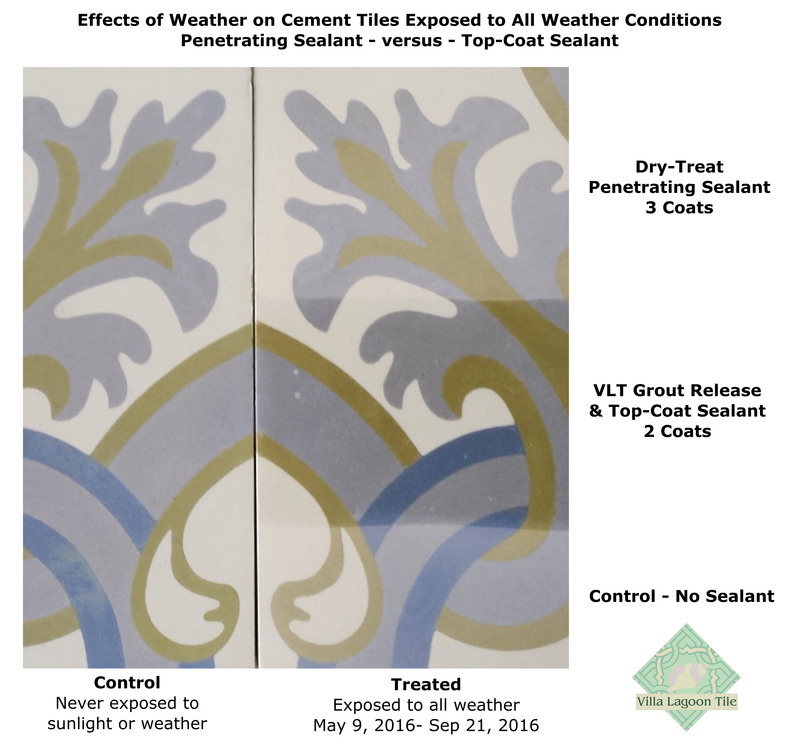 The use of the VLT Grout Release/Top Coat co-polymer sealant provides an appealing color enhancement effect on cement tiles. The UV filters prevented the colors from fading when exposed to bright sunshine for a long period of time. Though not tested in this experiment, we believe the VLT Grout Release/Top-Coat co-polymer sealant will prevent staining from bird droppings and other organic stains from leaves and natural debris. Love the floors in Venice? 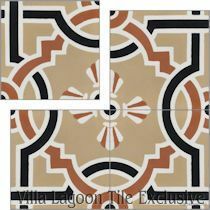 Villa Lagoon Tile is pleased to introduce their newest line of encaustic cement tile – The Floors of Venice. Inspired by the incredible marble flooring surfaces in and around Venice, Italy, the tiles reflect the design and style of old Italian marble mosaic floors. 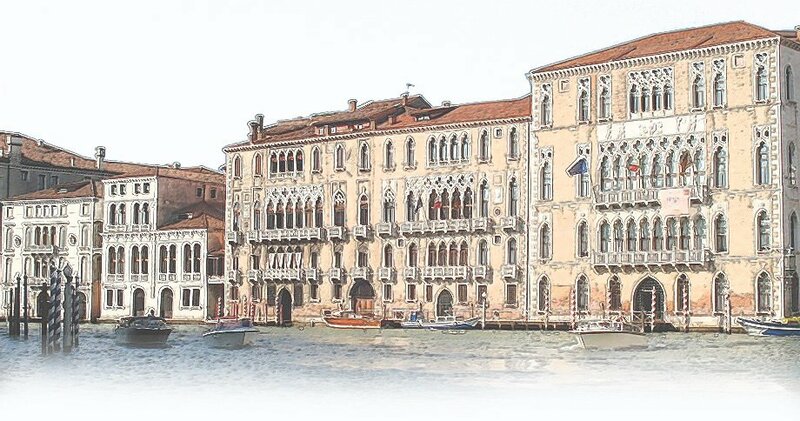 The new tile line with names like St Mark’s, Murano, Savona Venice and Treviso captures the major colors and design concepts of the Venetian floors. 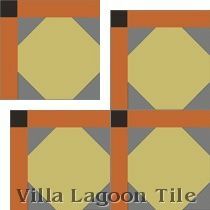 “Colors were integral to new tiles,” says Wilder. 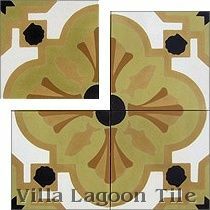 “The colors used in many homes in the US include beige and tan and the tones of our Venetian tiles are authentic but are also are very compatible with these neutral tones.” The tiles are 20cm x 20cm (8”x8”) and weigh about three pounds each. Known for their vibrant colors and intricate designs, the tiles are also known as Cuban tiles, Pasta tiles, Moroccan tiles or Mexican tiles. Designers and architects have found them to be a terrific way to add style and character to open spaces. 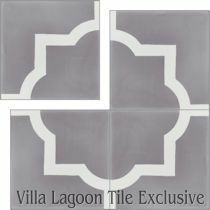 Villa Lagoon Tile has been installed in numerous large commercial projects that include the Fairmont Copley Plaza Hotel in Boston, the Fairmont Miramar Hotel in Santa Monica, California, the Omni Hotel in Nashville, the Ralph Lauren retail store in Holetown, Barbados, and the Drake Hotel’s new “Drake One Fifty” restaurant in Toronto, Canada. 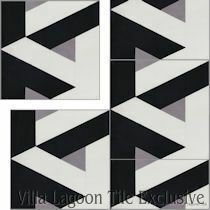 Samples of the the Floors of Venice designs are presently available by contacting Villa Lagoon Tile by email, info@villalagoontile.com or by calling the office 1-251-968-3375.